I’m more than happy that school started this week after 8 weeks of summer break. Now I can finally concentrate on my blog again and have more time to be creative in my kitchen. Over the summer I tried different recipes to find substitutes for refined sugar in my kids’ breakfast and lunchbox at school. It’s so important for us parents to be aware of the health problems our kids can develop by eating too much sugar. 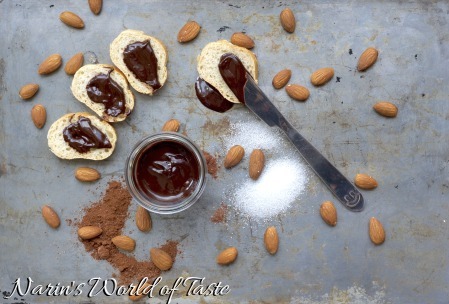 The following recipe is one of my kids’ favorite so far, and you only need three ingredients to make a healthy delicious chocolate spread full of the health benefits from raw cacao. Cacao is often called the Superfood these days because it’s offering a wealth of antioxidants and essential vitamins and minerals. Note: Look out for labels that read “raw” chocolate or cacao, which means that the beans are not roasted, but only fermented and dried to conserve their superfood composition. Roasted chocolate or cacao will lose most antioxidant properties due to the heating process and you should avoid those. Dissolve the Xylitol or Honey with the water over low heat in a small pot, add the remaining ingredients and stir well until everything is combined. 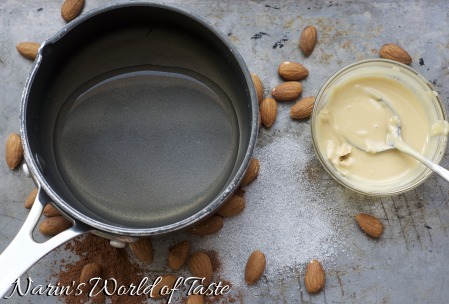 If the spread is to thick, add more water until you have the consistency of a nice cream. The chocolate spread will thicken a little bit when it’s cooled down in the fridge. 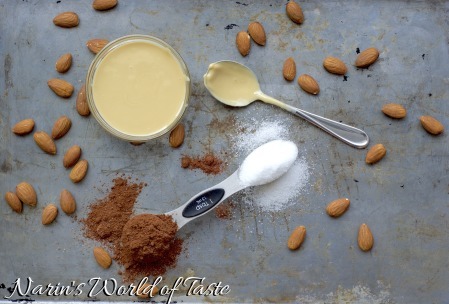 I love the taste of the Almond Butter more, but my kids prefer Haselnut Butter because it is more similar to Nutella. 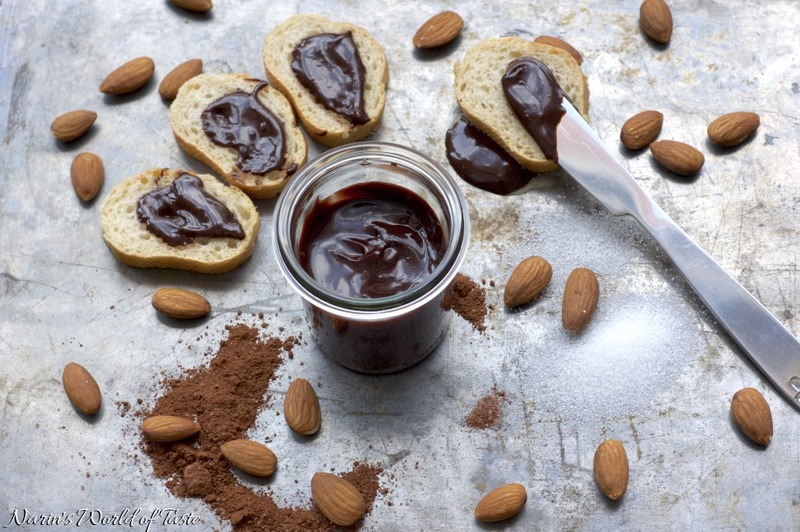 Serving: Spread the chocolate thinly on a nice slice of baguette or bread. If your kids like to eat carb free bread, even better. Unfortunately, I can’t convince mine to eat carb free bread at the moment. This spread looks incredible! I love that its sugar-free! This looks so delicious! Would love to taste it.